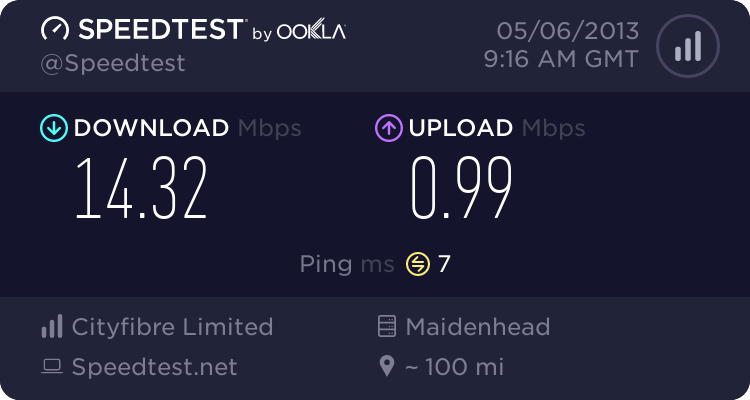 Prior to migration, they all delivered near the rates that the ADSL could manage, when measured on the ThinkBroadband speed tester. Now the rates are about 2Mb/s in each case and very unstable. Worse, I am getting many drop outs, some lasting several seconds. Streaming audio is now impossible, whereas it worked fine before migrations. Router stats show the ADSL is working as normal on each line. You been switched to the dreaded TT network? Zen Home Talk Plus - Freeola Family Broadband. TalkTalk is indeed where it ends up. Used to be on Openreach and that seemed to function reasonably most of the time. I heard that the CEO of TalkTalk is something to do with horse-riding/horse-racing, but I would hope that they might employ an engineer or two? PostOffice is buying a wholesale service, so it can be as slow or fast as the PostOffice have contracted capacity for.